Kick of your Italian family holiday with a visit to Rome, the Italian capital. With so many things to do and see in Rome with kids, this city is the perfect destination for your first stop if you are travelling to Italy with the family. Whether you travel to Rome with kids during the Summer or Winter, there is so much to experience that you will want a good few days to explore the highlights. May – September is the peak time to visit Rome where the city is swarmed with tourists from all over the world. July and August are the hottest months in Italy, and because of the humidity in Rome during those months, it’s probably not the best months to travel to Rome with kids. 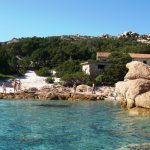 Many people head off to the coast during this time to one of the best beaches in Italy. December – February is Italy’s Winter, and the coldest months with snow falling occasionally in February. If you don’t mind the cold, around Christmas is a magical time in Italy where you can find Christmas markets and decorated Christmas trees in the main piazzas. Spring time (March – May) or Autumn (September – November) is when you can experience nice comfortable weather. 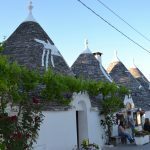 It is also during these times that accommodation prices are lower and a great time for an Italy family holiday. The Roma Metro is super easy to use and quite cheap too compared to other capitals.. You can buy tickets at the machines within the stations where you can select the English language. There are only 3 lines so not as confusing as big cities such as Paris and London. 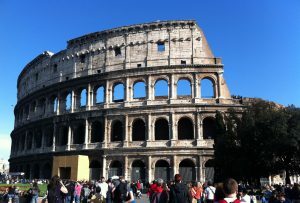 Rome is easy to walk around though and getting lost in the city is part of the beauty of visiting this historical city.. If you have a baby carrier, or small city stroller for your little ones, walking around the centre is definitely the better option. Take a map and explore! The whole family will enjoy it. After living in Rome on and off for 7 amazing years I was lucky enough to experience a lot of what this beautiful ancient city has to offer. 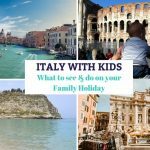 Here are my top things to see and do if you are planning your Italy family holiday and travelling to Rome with kids. Teach your children some of Rome’s history and travel back to the days of the Roman Empire at the Colosseum, the biggest amphitheater in the world. Built by the first Flavian Emeror, Vespasian, it could hold around eighty thousand spectators. This is a definite must see in Rome for kids of all ages, so don’t miss it. Stepping inside and back in time, you will need a good few hours to visit the Colosseum. Save time by booking tickets in advance and skipping the huge lines, especially in the Summer. Test your children and have them put their hand in the Mouth of Truth. Made famous by the Audry Hepburn Movie “Roman Holiday”, the legend has it that it was used during the Middle Ages as a lie detector whereby the accused would place their hand inside and the mouth would close if they were lying. One of my favourite places in Rome for kids is the stunning Villa Borghese. Hire a bike or a riscio (a family bike that holds up to 6 people) and ride around this enormous park. Stop for a picnic on the beautiful grassed areas or have a bite to eat at one of the many cafes. Enjoy the view of Rome from the lookout point. For older kids, visit the famous Galleria Borghese Museum or for the younger ones, take a ride on the Bioparco Express train which goes around the zoo which is located within Villa Borghese. 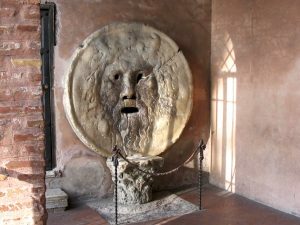 Take your children to the most famous fountain in Rome where they can do the famous coin toss. Throw a coin in the fountain and make a wish. Don’t forget the photo for memories! If you’re looking for a place in Rome for kids to run around then head to one of Rome’s famous piazzas. You will often find street performers and markets selling all types of goodies depending on the time of year. The Christmas season is particularly busy when they hold the most famous Christmas Market where you can find lots of local delights. This is an easy stop in Rome with kids as it is more of a viewing point and “people watching” place. The famous Spanish steps in the centre of Rome connect Piazza Spagna with the Trinita de Moni Church up top. Take your time climbing the 138 steps to the top with your kids and just enjoy the views. 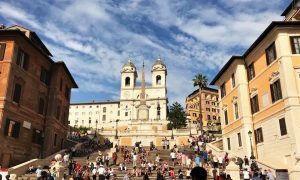 The Spanish Steps are right in the middle of the centre and on your way to Villa Borghese if you are coming from the Trevi Fountain and Colloseum so very easy to find. A must see when visiting Italy’s capital city. Located near Flaminia Metro, north of the centre is the Explorer Museum. A great rainy day activity for kids in Rome, it has everything you can think of to keep their little minds stimulated. There are numerous science exhibits and water play. There is mini bank where children can take out fake money, a garden where they can plant and pick vegetables, and supermarket where they can grab a trolley, pick up their items and pay at the counter. You will even find a creative crafts area where children can cut, paste, and create out of recycled items. A cow they can milk and learn how milk is produced and lots more. Enjoy an espresso or cappuccino at the café and let the kids explore. 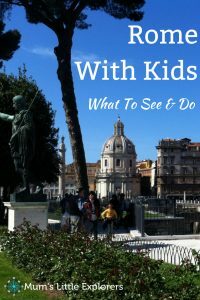 This is a great option to explore Rome with kids. You can easily walk around the centre of Rome visiting the attractions but with small children who with little legs that tire easily this may be easier. Your children will love sitting up on the top level with the roof off looking out to the city. Hop on and off as you please and visit everything quickly and calmly. You can get the bus from Termini, the main train station in Rome. Who doesn’t like gelato! When in Rome… Take a pit stop every now and again at one of the many gelataria’s in Rome where the kids won’t know where to start with the huge selection of flavours. With one on almost every corner, you won’t have to walk far to find one. You cannot travel to Rome with kids without trying at least a few of the delicious flavours of the famous Italian gelato. I may be bias because I still consider it my home away from home, but Rome is one of the easiest cities to travel with kids. A few days is not enough to see all of what the capital has to offer, but when you travel with your little ones you do need to slow down a little and compromise. With plenty of things to do and see in Rome with the family, this city is an unforgettable destination and I am sure it will be a highlight of your Italy family holiday. 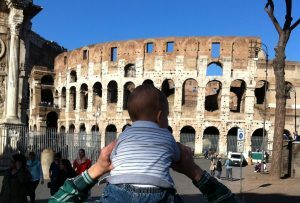 Let us know how you go when you travel Rome with kids! Heading down south? 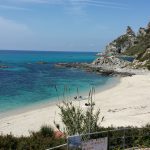 Why not add Calabria or Puglia to your Italy family holiday or check out the Best Beaches in Italy! 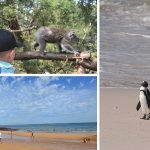 Follow Mum’s Little Explorers on Facebook for more travel tips!